Build upon Chaos, this city was first line of defense against it. Ruled by Ivory King one of the Forrosan Knights, kingdom was surrounded by stone wall in order to keep Chaos within. But it was not enought, soul of the king became dark and he left his kingdom, leaving all duties to its oracle Alsanna. As time flows, Eleum Loyce became nearly abandoned, frozen and lifeless place full of danger. Strong wind, falling snow and echoes of Chaos are now its main sounds. Chosen Undead has to pass throught if he want to get King's crown. 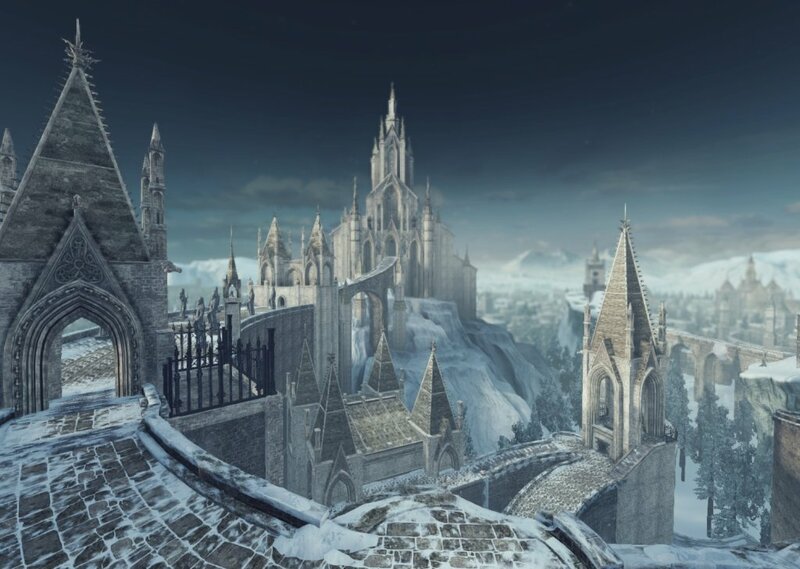 Soundscape for Frozen Eleum Loyce, location in last DLC in Dark Souls II. - Crown of Ivory King. Comments for "Kingdom of Ivory King"
License details for "Kingdom of Ivory King"